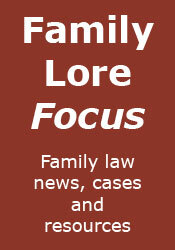 Family Lore: Win a Divorce - On Valentine's Day! Why didn't I think of that.. I know because it is tasteless and tacky! You've got no class, Mark.